Six Tumbleweed snapshots this week brought users newer versions of GStreamer, Wine, Vulkan, and a new Linux Kernel. The new 4.9.7 kernel arrived over the weekend with the 20170204 snapshot. The new kernel sources updated config files and fixed a build failure specific to DWARF (Debugging with Attributed Records Format). 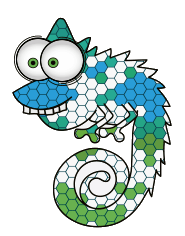 The snapshot added support for the Perl client ddclient to version 3.8.3 and yast2-installation 3.2.20 added an all-in-one installation overview for SUSE’s new Container as a Service Platform product. More information about CaaSP and transactional updates can be found in a video presented by Thorsten Kukuk at FOSDEM. GNU Compiler Collection 6.3.1 passed testing in openQA and made it into the 20170205 snapshot and so did python-cryptography 1.7.2 and getdata 0.10.0, which is a library that provides an Application Programming Interface (API) to interface with Dirfile databases. The 20170206 snapshot gave users Wine 2.1, which provided fixes that were deferred during the code freeze and Direct2D rendering improvements. Mercurial 4.1 reduced server-side PCU usage with a new compression engine. Snapshot 20160808 brought openSUSE Tumbleweed users Plasma 5.72 shortly after last week’s article was published, but it didn’t last long. This week Tumbleweed appears to have a strong wind making it roll remarkably fast as openSUSE’s popular rolling release had six snapshots since the last update was published. The latest snapshot, 20160815, was fairly small updating gstreamer-plugins-bad, libgusb and opus codecs. Snapshot 20160813 updated repositories for systemd and kernel-source were updated to enable missing BayTrail and LynxPoint drivers. Yast2-firstboot was updated in this snapshot as well as a snapshot the day before. The multipath-tools package had the most fixes and cleanup in the 20160813 snapshot. Some users might already be using the latest version of Mozilla Firefox after the 20160812 snapshot, which updated Firefox to version 48. Plasma 5.72 had a very short life in Tumbleweed as version 5.7.3 rolled over the previous version that arrived just four days earlier. Other notable updates in the snapshot were qemu, NetworkManager-openvpn and gfxboot.